I’ve said it before, and I’ll remind you in case you forgot: I love sweets. Its ridiculous really, how much I love candy, confections, baked goods, and anything that will satisfy my sweet tooth. so I was probably a little more excited than is acceptable when I learned about the coupons and sweepstakes being put on for Mars Wrigley here. But what is a sweet, colorful delicious food when you just eat it? Sure, bag-to-mouth consumption is definitely acceptable. Crave worthy even. But what if you could do more? 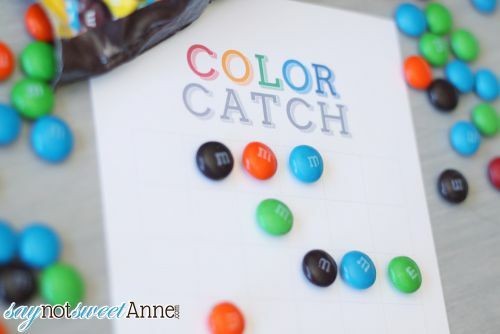 What if you (and the children, or the classmates, or the party goers) could play with the candy? Inspired by a prototype color game on The Kenilworthian, I’ve created Candy based printable game. 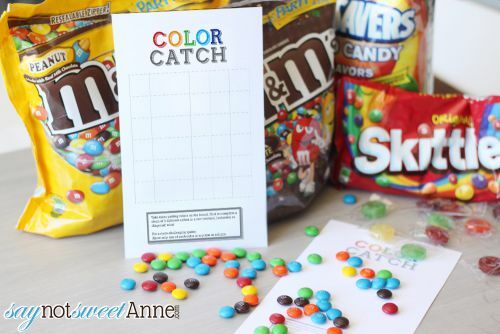 It is played in pairs and can be used with any sort of colored candies! I personally prefer M&M’s®, but Skittles® would work too. If you are worried about germs, Life Savers® are individually wrapped so the players don’t have to worry about washing hands before the game. 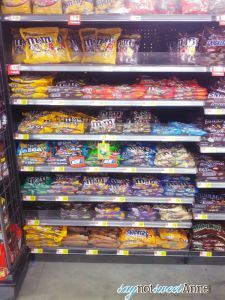 I stopped by Walmart and picked up several types of candy for the job. Introducing: Color Catch. 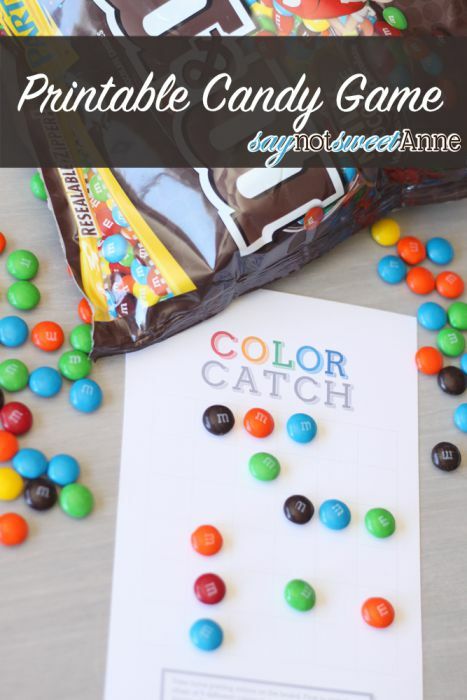 It is a sweet little game for two players where candy serves as the main tokens! 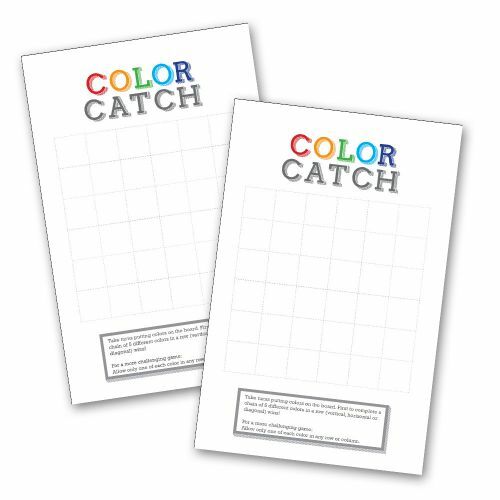 Each player takes turn adding a color to the board and the first to complete a row of 5 different colors wins! It is sort of like Connect Four and the Dots game combined. 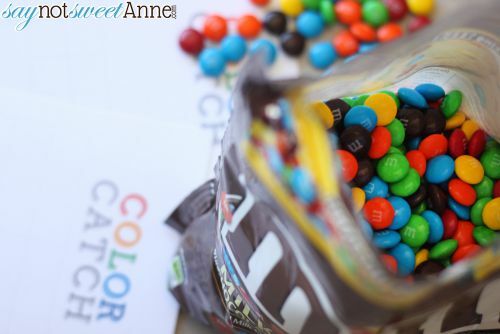 Any candy with 5 or more colors will work, and different color numbers could change up the game play for repeat playing fun! 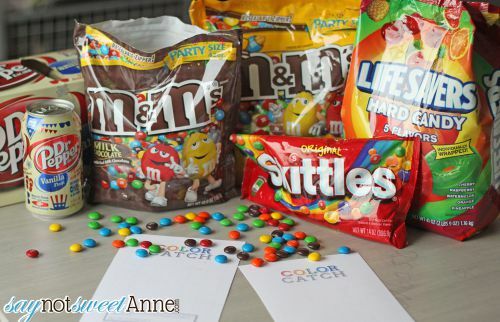 The best part is all it takes is a bowl of candy and the printable. If you want a more difficult game (for older children or, ahem, adults) you can play by an additional rule which will make it much more strategic. So, what are you waiting for? Get your coupons, some candy and give it a shot! Would a $100 Walmart gift card make your summer a little brighter? Go ahead and enter the sweepstakes! As for the game, you can Get The Printable PDF HERE! All you have to do is print it and play. It would be great for summer camps, picnics or classrooms.